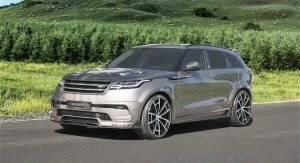 Sleek as it already is, we would say that the Range Rover Velar doesn’t need much help in the styling department. But if you’re inclined to disagree, there are tuners out there offering upgrades. 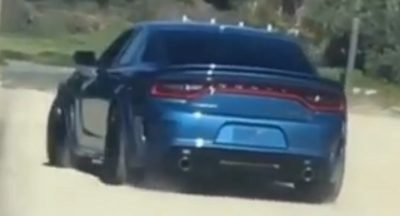 And Mansory is the latest among them. 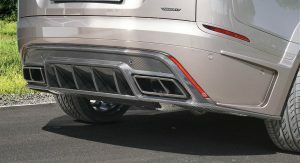 The German tuner’s upgrades for the compact Range Rover center around an upgraded aero package. 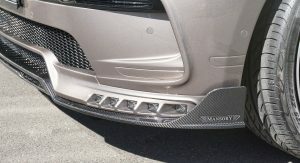 It includes a front spoiler, rear apron with diffuser, roof spoiler, even wing mirror caps, grille, mud flaps, and a new hood – all made from high-tensile carbon fiber to what Mansory says are OEM-quality standards. 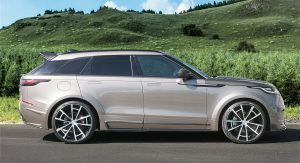 The aftermarket firm also offers its Spyder monoblock alloys for the Velar in both 22- and 23-inch diameters – both suitably oversized. 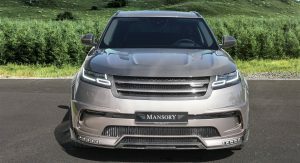 And though the standard cabin treatment hardly needs any more help than the exterior design, Mansory can also reupholster the interior to just about any taste. Mechanical modifications are largely kept to a minimum. 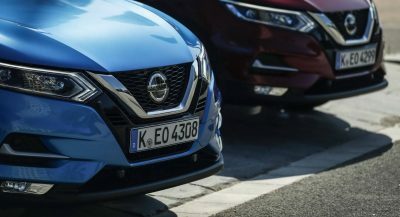 But with a remapped ECU and stainless steel exhaust, the tuner says it can get a “whopping” 45 extra horsepower out of any engine in the range. We don’t know about the “whopping” part, but we’re not about to turn up our proverbial noses at a bit of extra muscle. Not to your liking? 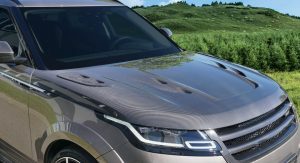 There are others that can offer similar upgrades, including Aspire Design and Startech (an offshoot of Brabus), which both offer more comprehensive wide-body kits for the Velar. 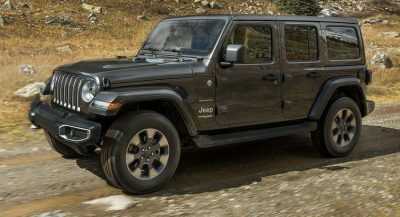 And we’re pretty sure there are more out there, though we’d be inclined to leave it just as Land Rover’s talented design director Gerry McGovern and his team intended. How about you? 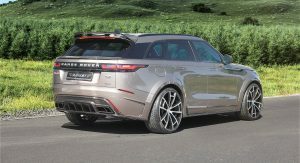 NO, just wait for the Velar SVR if you want more sauce with your Velar. Yeah, it’s for athletes and American rappers. 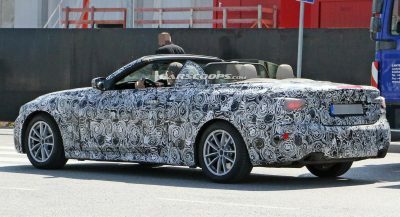 Doesn’t look that bad, for something out of Mansory workshop.